Who is excited for the 2017 National Jamboree? 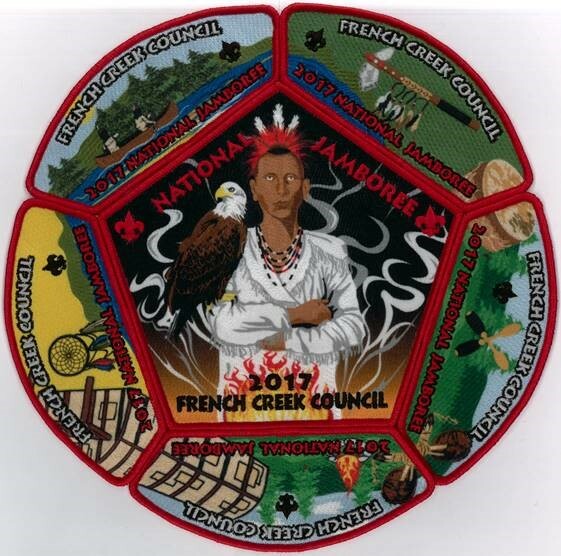 The French Creek Council is thrilled to show off the design for the Council’s Jamboree Shoulder Patch Set. The patches are here and ready for sale. The red borders are beind restricted to our council's jamboree contingent and will only be available after the Jamboree if any are left. 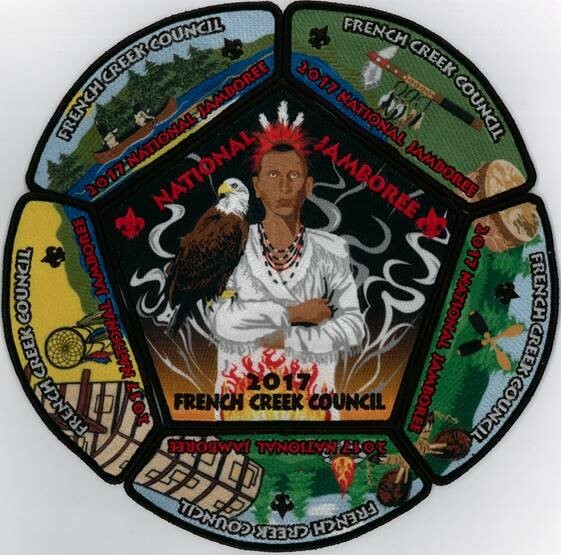 The black border sets are $25 each set and can be picked up at the Scout Service Center in Erie, or ordered by calling 814-868-5571.